The Madison Region boasts a historically strong, nationally recognized healthcare sector – a leading economic driver that provides jobs and innovation while delivering world-class care to our residents. Creating a diverse range of employment opportunities and representing 12% of total regional employment, the healthcare sector provides our population with well-coordinated systems that cover a spectrum of unparalleled care. Our region’s forward-thinking approach includes significant investments in technology and infrastructure, leading to better communications, better connectivity, and ultimately better care. Our well-coordinated healthcare labor pipeline contributes to our ability to attract and retain more than 63,000 in the healthcare workforce. As the nation prepares for the aging of the largest generation in America, the Madison Region is well poised for the accompanying growth in demand for services. Learn more. Learn more about the region’s healthcare industry and workforce in this brochure. 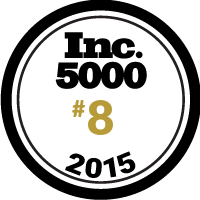 The Madison-based company, which provides personalized medicine and related medical services with a network of physicians and PCAB-accredited pharmacies, ranks #8 on the 2015 Inc. 5000 list of the fastest-growing companies in the United States. A community collaborative of area hospitals provides a snapshot of the health status of Columbia, Dane, Iowa, Rock and Sauk counties.